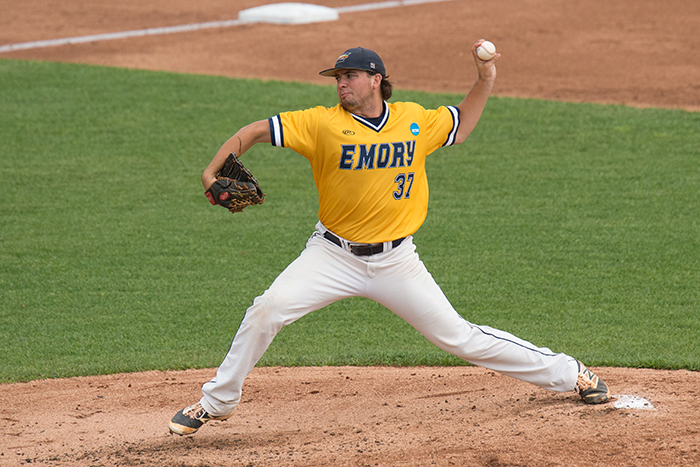 Emory baseball returns 25 players from last year's World Series squad, including pitcher Jackson Weeg. 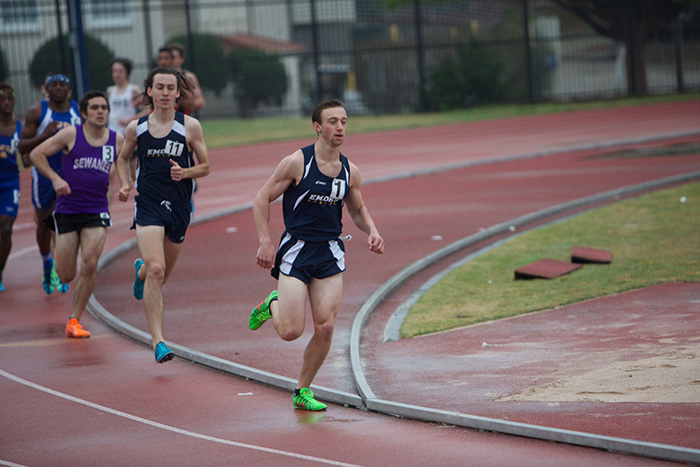 Max Brown, who was Emory’s first-ever All-American in the mile at last year’s Indoor Championships, returns to the track for the spring season. Bridget Harding enters the spring as the top-ranked tennis singles player in the country, one of five Eagles in the nation’s top-50 singles rankings. 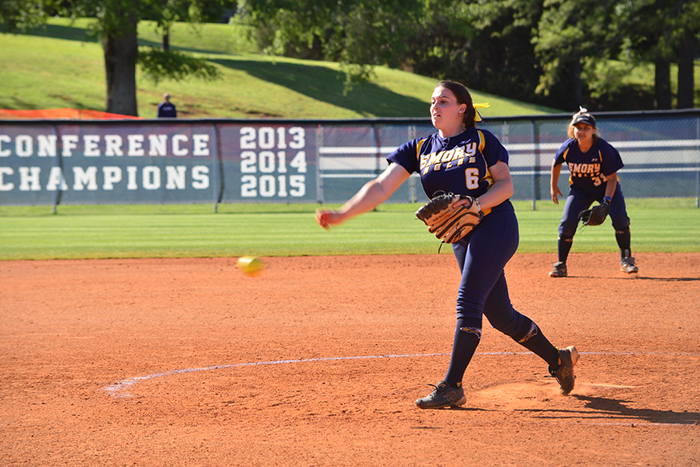 All-American pitcher Brittany File returns to the mound for Emory Softball after striking out a school-record 343 opposing hitters last season. With 50 career rounds under his belt, Keenan Hickton helps bring depth and experience to Emory Golf. 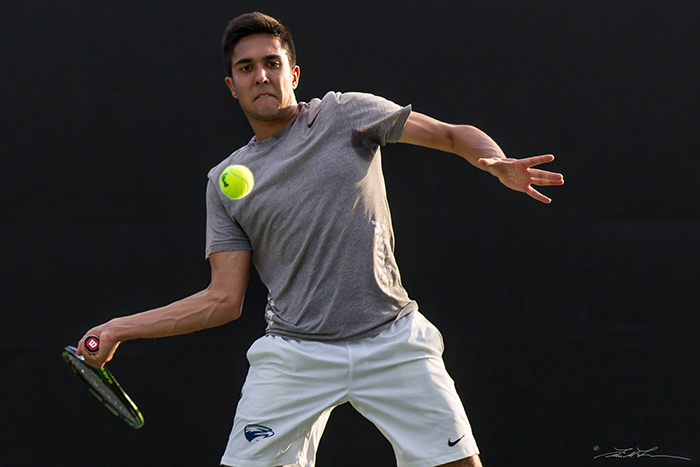 After an impressive fall season, Aman Manji could help lead the men's tennis team to a shot at the NCAA title. 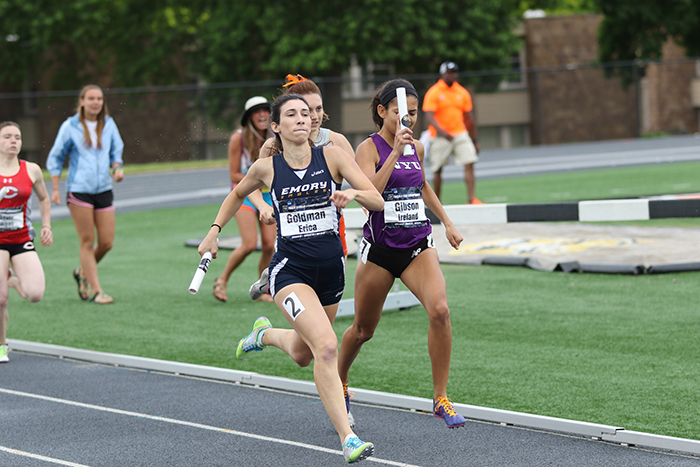 Standouts on the women's track and field roster include Erica Goldman, part of the women’s 4x400 All-America relay team. 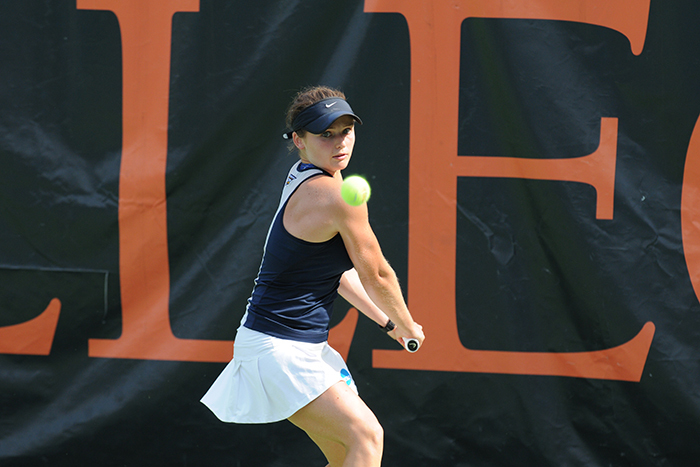 Spring is always an exciting time for Emory Athletics with a number of teams vying for national titles. Following three straight trips to the NCAA Division III College World Series, head coach Mike Twardoski and his Emory Baseball program look poised for a return trip to Appleton, Wisconsin, as the Eagles begin the 2017 campaign as the No. 6-ranked team in the Collegiate Baseball Newspaper Preseason Poll. Emory returns 25 players from last year's World Series squad, a group that includes D3Baseball.com All-America Honorable Mention right-handed pitcher Kyle Monk, ABCA/D3Baseball.com All-South Region selections left-handed pitcher Jackson Weeg and designated hitter Brian Hernandez and D3Baseball.com All-South Region Rookie of the Year right-handed pitcher Billy Dimlow. Also back in the fold is NCAA South Regional MVP first baseman Bubby Terp and NCAA South Regional All-Tournament selection catcher Chris Young. Emory opens the season with seven straight home games at Chappell Park beginning Saturday, Feb. 11, against Sewanee. After bringing home the program’s seventh-ever NCAA D-III national crown last year, the Emory Women’s Tennis program aims for a repeat performance in 2017. Under the leadership of head coach Amy Bryant, the Eagles will have a strong veteran presence on the roster with seven players from last year’s squad returning. Junior Bridget Harding is coming off an outstanding fall season where she became just the third Eagle ever to win ITA Division III singles and doubles titles in the same year. Harding enters the spring as the top-ranked singles player in the country and is one of five Eagles in the nation’s top-50 singles rankings, joining seniors Michelle Satterfield, Katarina Su and Paula Castro and sophomore Daniela Lopez. Harding, along with Su, are positioned as the top-ranked doubles duo, one of three Eagles doubles teams in the nation’s top 25. The spring season gets underway on Feb. 15 at Georgia Gwinnett College. After concluding the fall portion of the schedule as the No. 2-ranked team in D-III, the men’s tennis team figures to be in the hunt for a shot at the national title. A roster with veteran experience should allow head coach John Browning to put out a talented and deep lineup throughout the spring. Two of the mainstays in singles will be senior Aman Manji and sophomore Jonathan Jemison. Manji soared to the No. 1-ranked D-III singles player after an impressive fall season that saw him capture the ITA Regional title as well as the singles crown at the Oracle Cup. Jemison, the ITA National Rookie of the Year for 2015-16, registered a team-high tying 27 victories last season and enjoyed a fine fall season, teaming with junior David Omsky to win both the ITA Regional and Oracle Cup Doubles Championship. Junior Scott Rubinstein and sophomore James Spaulding are productive veterans who joined forces last season to earn All-America acclaim in doubles. The first outdoor match of the season will be at the Woodruff PE Center on March 17 vs. Millsaps College. The Emory Track & Field teams, guided by head coach John Curtin are gearing up for a strong season in 2017. Numerous standout performers dot the rosters for both the women's team and the men's team, including the women’s 4x400 All-America relay team of juniors Julia Leventhal and Erica Goldman and sophomores Ariana Newhouse and Dilys Osei. On the men’s side, senior Lukas Mees, an All-American in the 3000m Steeplechase during the outdoor season, will be a focal point for the Eagles in distance running events during the indoor season, as will junior Max Brown, who was Emory’s first-ever All-American in the mile at last year’s Indoor Championships. In total, Emory will welcome back 20 USTFCCCA South/Southeast All-Region selections while also being infused with a bevy of newcomers for the upcoming season. A total of 41 rookies are joining the program: 24 women and 17 men. Coming off a banner 2016 that included a school-record 46 victories and a berth in the D-III Championships, the softball team eagerly awaits this upcoming spring. Head coach Penny Siqueiros returns 16 veterans from last season including senior All-American pitcher Brittany File. File crafted a 36-6 mark in the circle, with her victory total leading all of Division III while establishing a school record. In addition, File struck out a school-record 343 opposing hitters, placing her second nationally. The Eagles should boast a potent offensive attack with 38 of last year’s total of 49 home run hitters returning. Junior Ashley Powers, a second team all-region performer, is the squad’s returning leading hitter, recording a .412 mark at the plate that included seven round trippers. Classmate Janelle Turnquest, a First Team All-UAA honoree, is one the nation’s premier long-ball threats after socking 12 homers last year. Senior outfielder Taylor Forte (.373) and sophomore shortstop Cassie Baca (.379) are other returning all-stars. The Eagles open play at home on Feb. 11 with games vs. Rhodes College and Averett University. After competing with one of the youngest lineups in school history for the majority of last year, head coach John Sjoberg is hopeful that the Eagles’ golf team will be able to make a return appearance to the D-III Championships. Junior Keenan Hickton is a battle-tested veteran with 50 career rounds under his belt. A Second Team All-UAA honoree last year, he averaged 74.4 strokes per round during the fall portion of the season. Junior Sean Murphy, a transfer from Georgia State, adds depth and enjoyed a fine fall season. The sophomore duo of Anthony Muscato, a First Team All-UAA performer, and Connor Yakubov, the league’s Player of the Year in 2016, will be looking to build upon solid rookie campaigns. Freshman Matt Organisak turned some heads with his play in the fall, averaging 73.4 strokes over 10 rounds, which included a pair of top-five overall finishes in four tournament appearances. 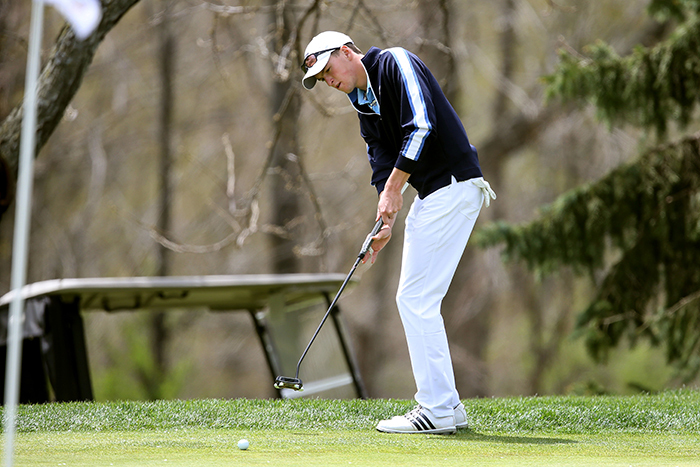 The Eagles will open the spring golf season Mar. 6-7, when they compete in the Tournament at Callaway Gardens in Pine Mountain, Georgia.